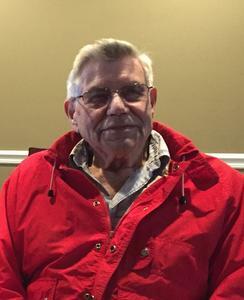 Age 87, passed away December 1, 2018. Gerald was born March 27, 1931. He was a veteran of the U.S. Air Force. Gerald raised his family in Grand Rapids and spent many years in Traverse City. He is survived by his wife of 64 years, Lillian; children, Dawn (Albert) Hartman, Dan (Terri) Gilmer, Craig (Jayne) Gilmer; grandchildren, Christopher Hartman, Stacey (Gregg) Ottaway, Nicole (Phil) Henriksen, Lindsay Gilmer, Matthew (Corissa) Gilmer, Michelle (Jesse) Veenstra; 10 great grandchildren; brother, Claude (Renee) Gilmer; sister in law, Marie Thomas; and brother in law, Hank Ennis. A memorial service will be held Thursday, December 20 at 6 PM at Christ Community Church, 442 W 7th St, Traverse City 49684. Friends may visit with family beginning at 4 PM. Full military honors will be held Friday, December 21 at 4 PM with visitation following until 7 PM at Heritage Life Story Funeral Home, 2120 Lake Michigan Drive NW. Please visit Gerald's personal web page to leave a memory or condolence at www.lifestorynet.com.